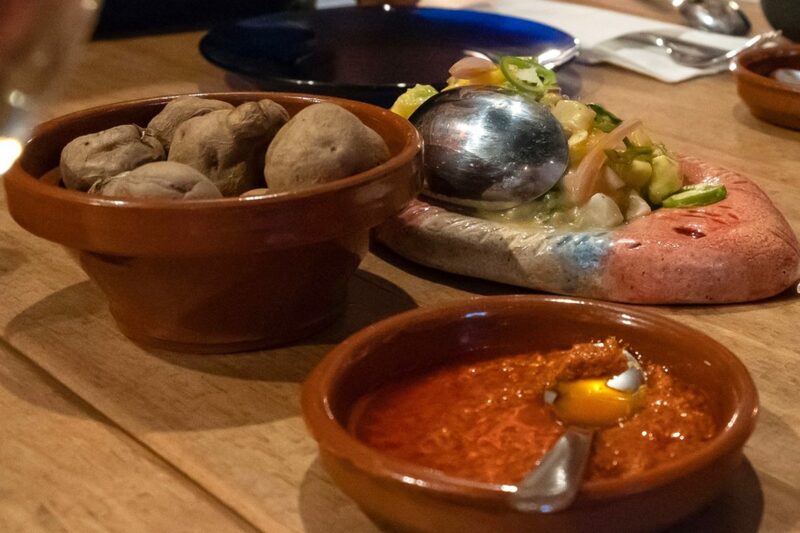 A giant pulpo is balancing some of the most popular dishes of La Vieja in his tentacles. Is he serving them to the nearest guests? Or just watching the scene from the wall at Jonay Hernandez’ new restaurant in Palma? Don’t let the menu at La Vieja fool you. What reads like simple tapas soon turns into a most exciting culinary trip across the Islas Canarias. 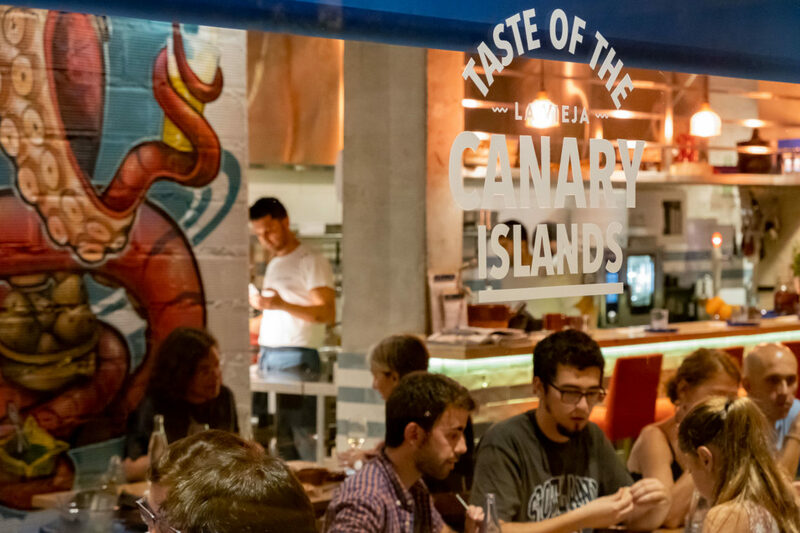 The menu reflects Jonay’s love for his original home Tenerife. 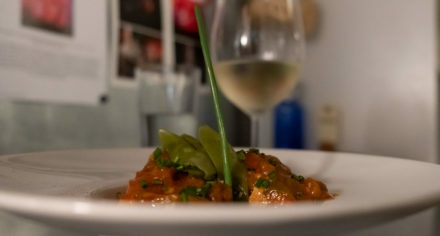 We met at La Vieja with a friend and relished the mojos, particularly the one from cilantro prepared right at the table with flor de sel and La Vieja’s olive oil from Consell. 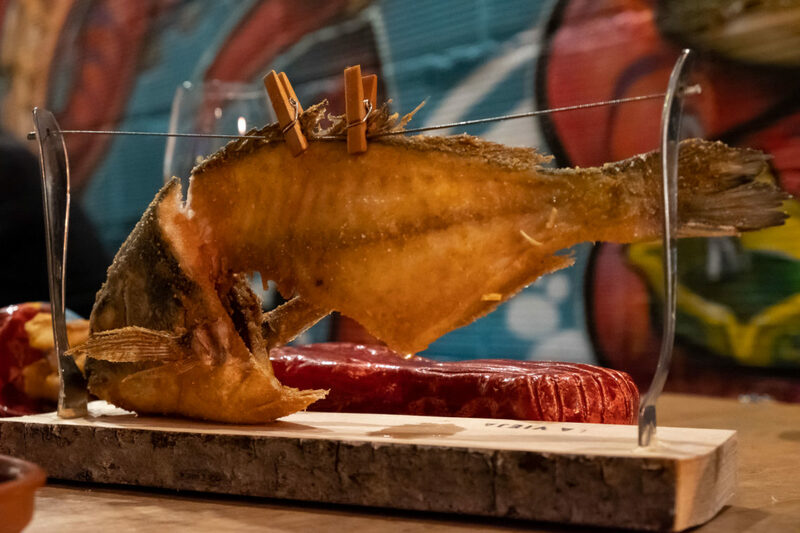 And we were raving over the pescadito frito that comes like a piece of cloth hanging on a line. 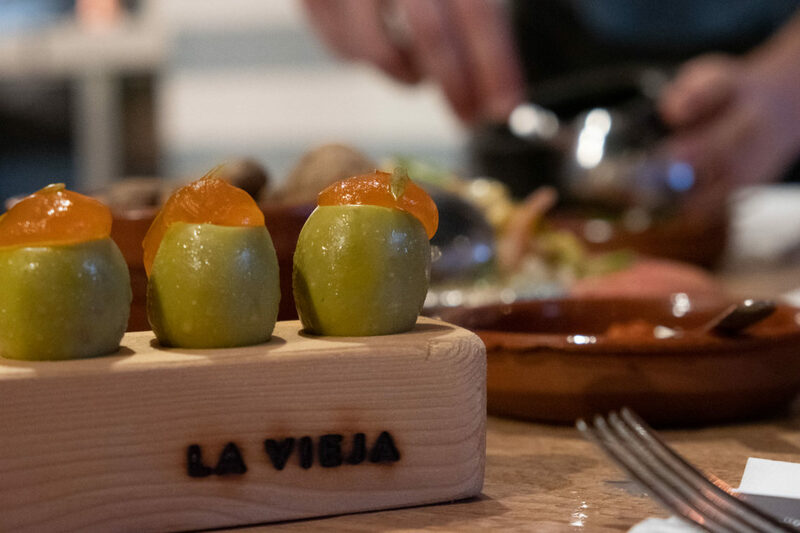 Actually the sensation already began with the starters: green olives, filled with anchovy and topped with aperol gel. For the rest of the night we kept wondering what other secret ingredient Jonay must have put into it, that made a single olive taste so heavenly. Dessert was just as spectacular. 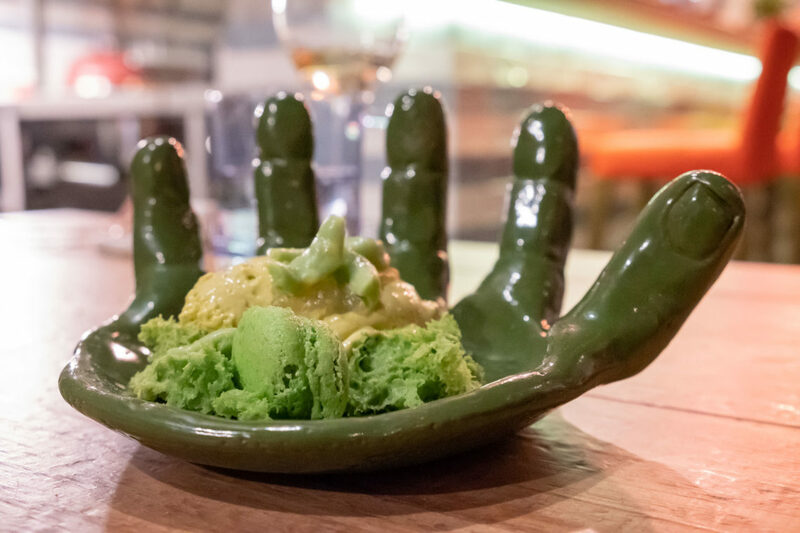 The Incredible Hulk, a terrific mischmasch of Pistaccio iceream, foam of matcha, lime gel, passion fruit and white chocolate was served in a large green bowl shaped as the Hulk’s hand. Jonay Hernandez has been living on Mallorca for many years. 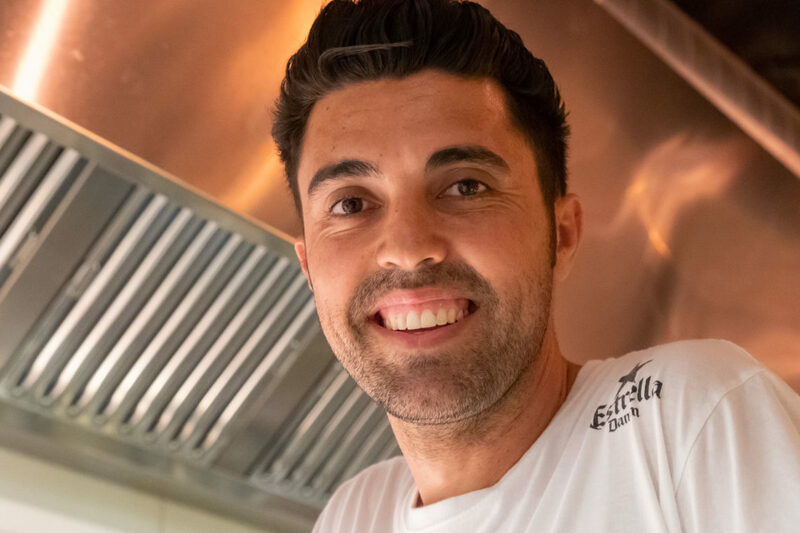 His first restaurant Flor de Sal in Camp de Mar is highly acclaimed for its contemporary Mediterranean cuisine. With La Vieja Jonay proves that he is still a Canarian at heart. 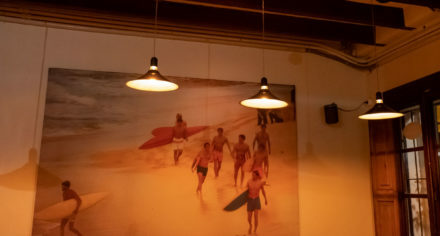 Food and atmosphere remind me of a beach bar near the Atlantic Ocean, where the smell of fried fish and spicy mojos is mingling with the salty breeze. It is not the Atlantic but Plaça Raimundo Clar where La Vieja settled. 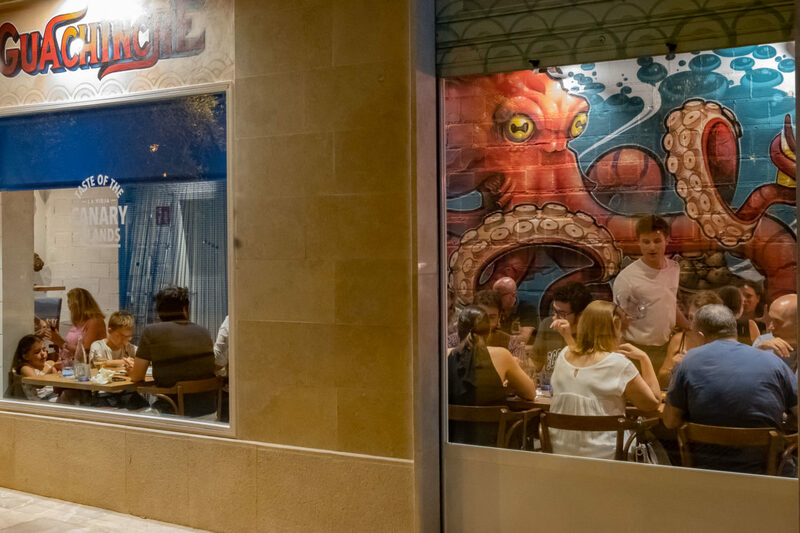 Within the last few years the bright square has become a new gastronomic hotspot in Palma. 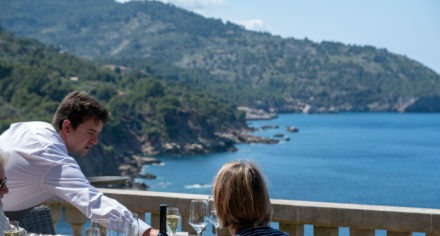 Creative Mallorcan food at La Juanita, authentic Portugese at Tasquita d’Esquina, gourmet burgers and fries at Raimundo, specialty roasts at Cala Coffee. 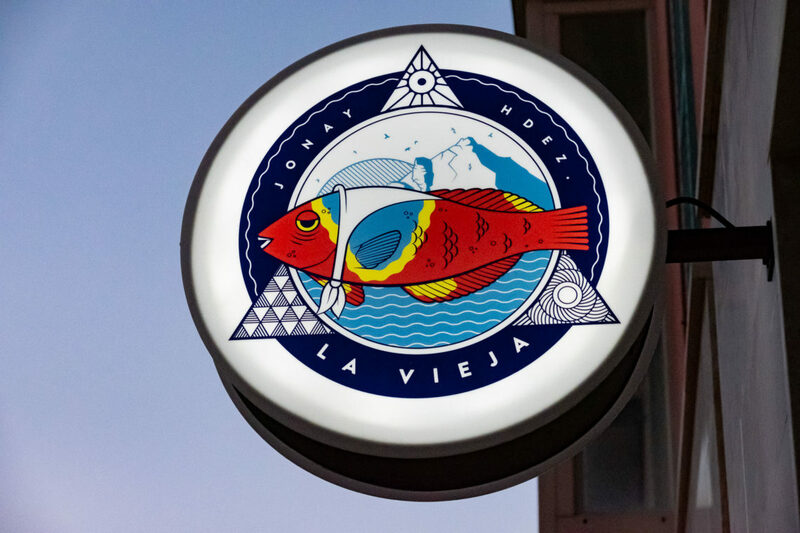 And now Jonay’s La Vieja, a great addition to Mallorca’s food scene.